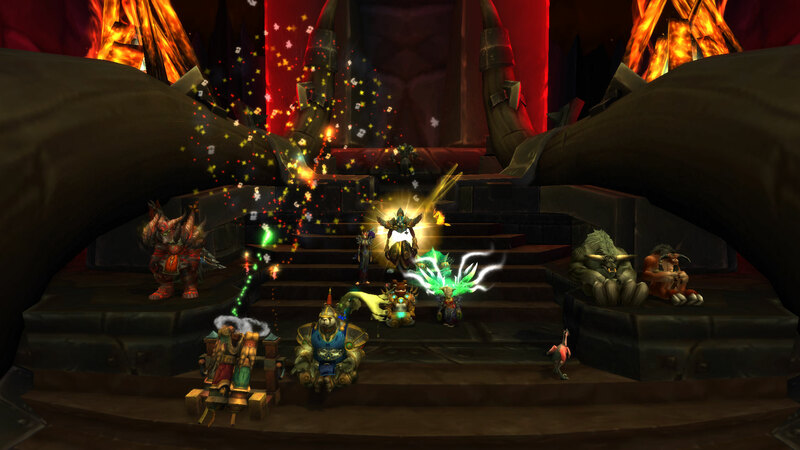 We finalled stripped the mantle of Warchief from Hellscream and liberated Orgrimmar! According to my count, it was on the guild’s 45th attempt. I’m happy to finally complete normal mode. 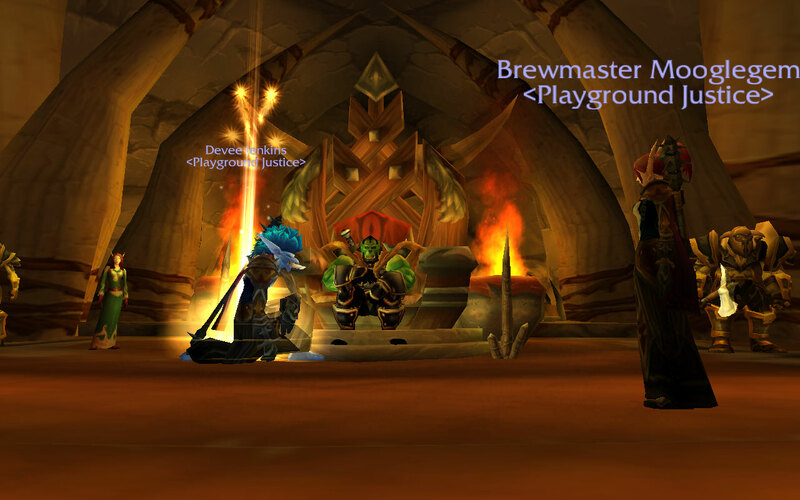 This might be it for the guild for a while; I know a number of people are looking forward to a break. 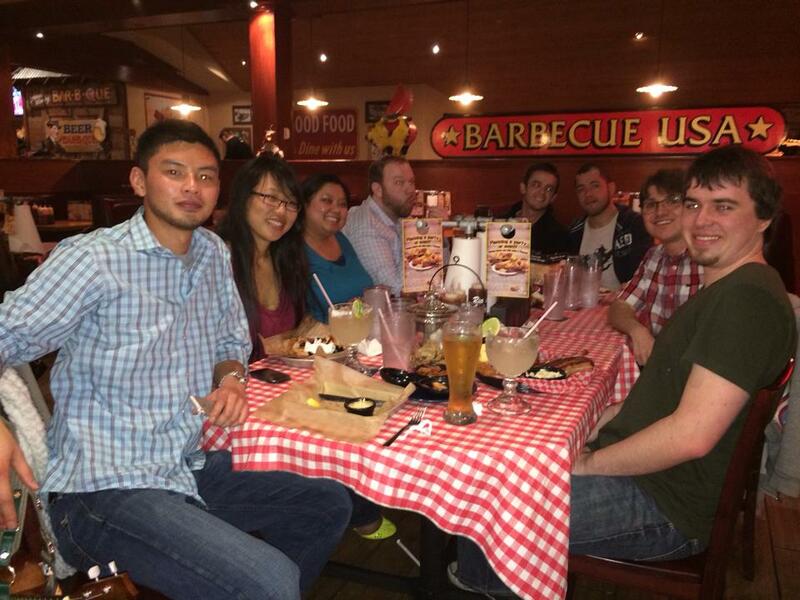 I think the guild will take a break for a week or two and then see who wants to continue. Normally I include a montage of our deaths before the kill video, but with 43 failures, it would take me a while to edit them and render the video, plus it would make the video pretty long. You’ll have to live with the kill video alone. Of course, I doubt anyone really cares to watch our kill videos, so it shouldn’t be a big deal. Unfortunately, I had WoW’s audio routed through my speakers and Mumble through my headset, and somehow FRAPS only picked up Mumble. No WoW audio in this one. Oh well. You can read more details about the kill on the Carpe Flux Capacitor kill announcement. 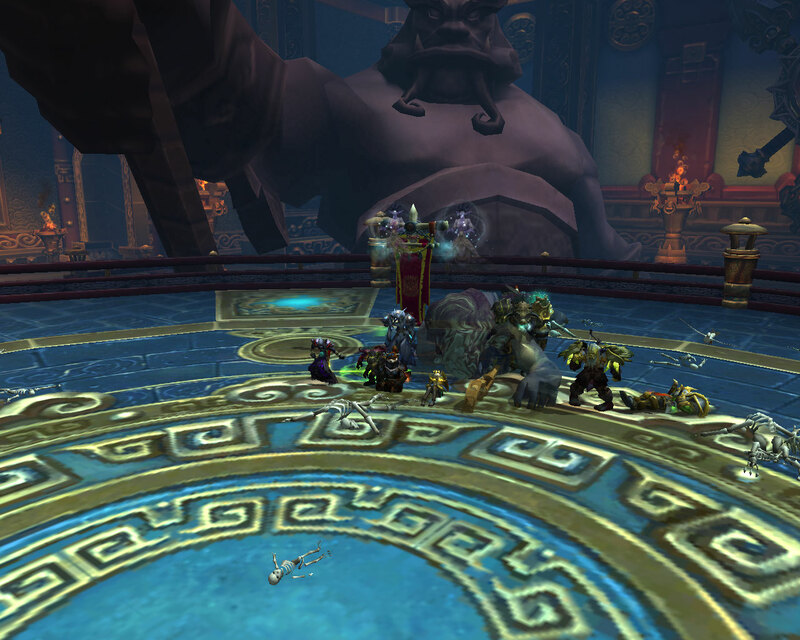 Last night we managed to kill Feng the Accursed! He went down without too much trouble, and we had time to spare! 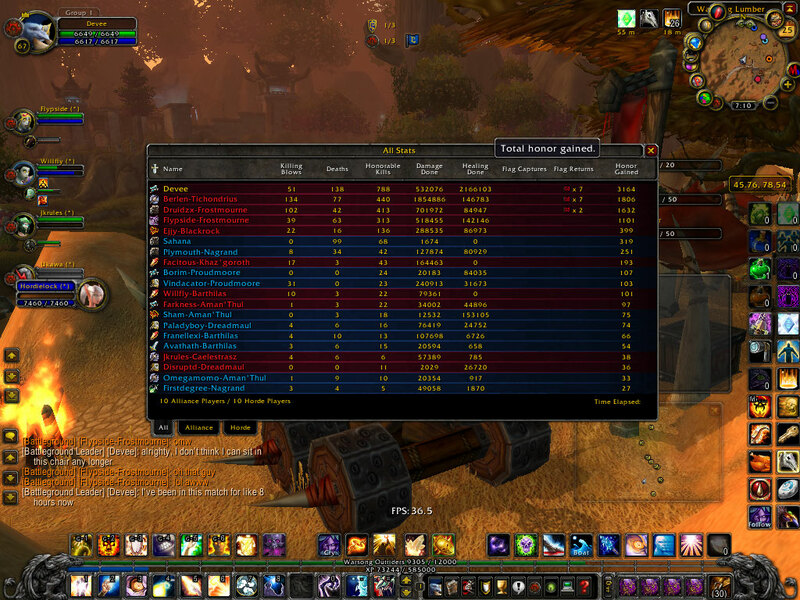 One person had to leave, and we didn’t have someone to fill the spot, so he switched to LFR. We played a different sort of game there. Once we recognized that dying was best because it meant you didn’t have to do anything, I just spammed heals on guildies to keep them alive despite their best efforts. 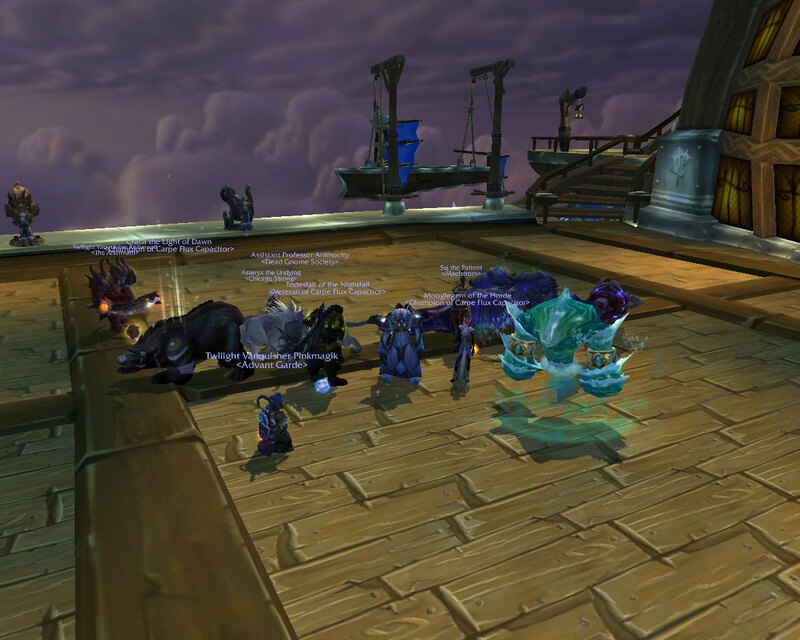 I was previously only 5/8 in Dragon Soul because my guild stopped raiding. When a guildie asked me if I wanted to run a normal mode Dragon Soul last night, I was excited. It’d be a chance to do it on normal mode even if it is super nerfed now, and it would also be a chance to practice after the patch. 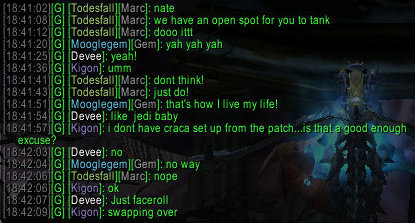 Nate took a little convincing, but when he realized that not being set up after the patch wasn’t a good enough excuse, he swapped over and joined us. Then gem had to ride Nate around. I think she really liked being able to do that. Shhh, don’t tell his wife that he let gem ride him. 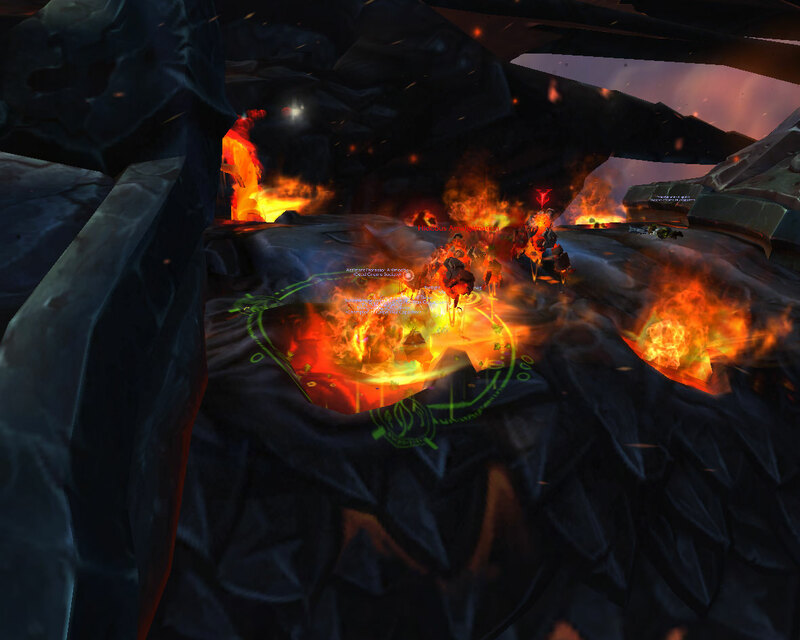 Spine of Deathwing was an absolute blast. While I do feel like it’s anti-climatic in that it’s the same process repeated, I still find it really cool. 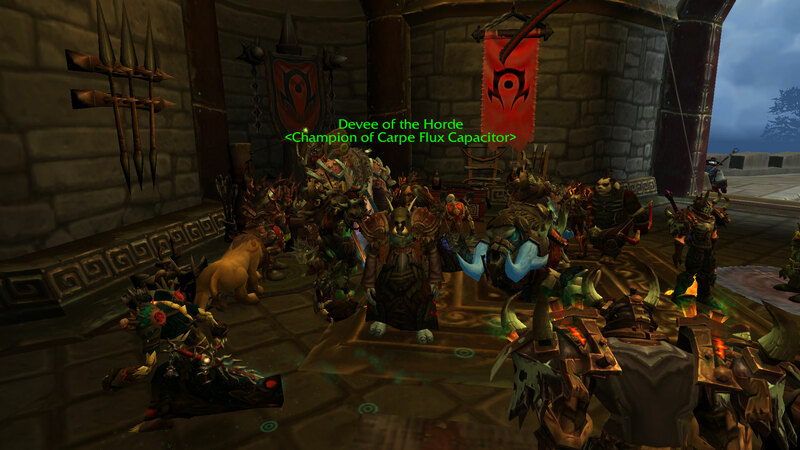 Rather than being in a room fighting a raid boss, the location is the actual boss. This isn’t the first game to do it, but it’s definitely fun. 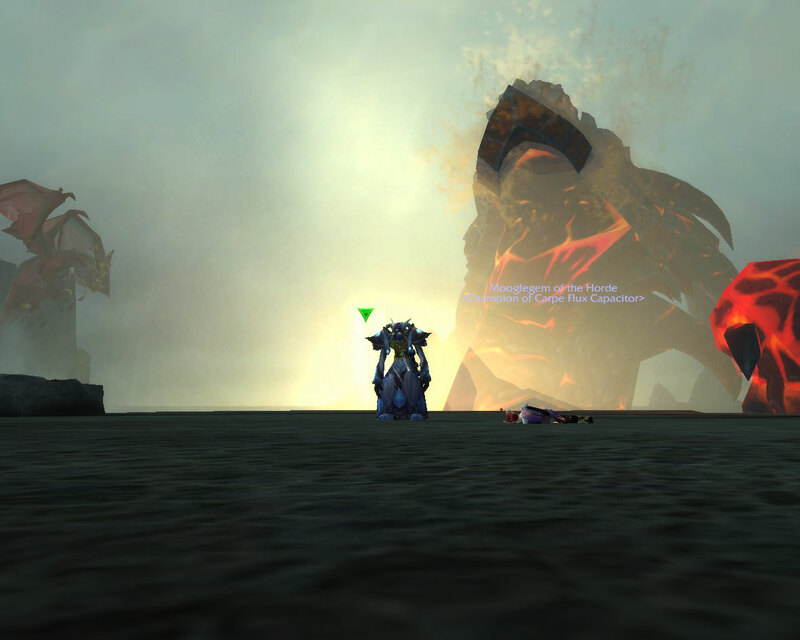 While Mooglegem didn’t make it to the end of the fight, we did successfully put down the Madness of Deathwing. I also won the Maw of the Dragonlord! 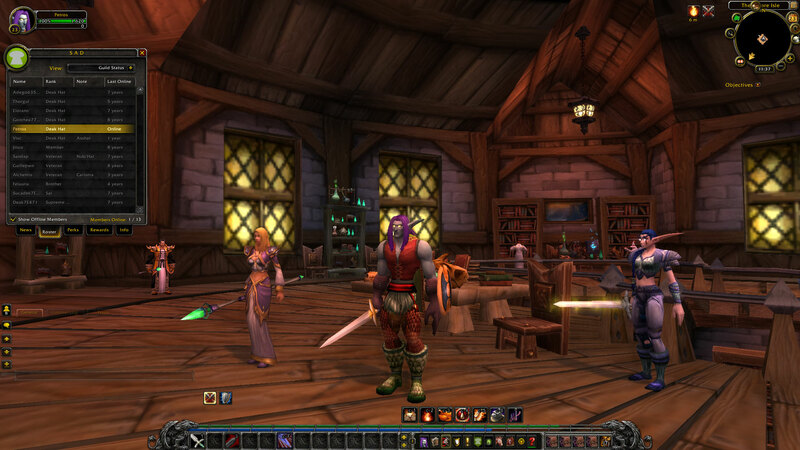 Someone offered me 500g for it, but I wanted to keep the mace. How exciting! Now I can be Devee, Destroyer’s End. What is the nicest thing another player has ever done for you in-game? How about sending me a full computer, a video card, or TOR? Wait, that wasn’t in-game. Unfair. There was the homemade jam that I was sent. Wait, that’s the same problem. Okay, how about letting me roll on and win the Black War Mammoth because the raid leader already had it? He said he would have ninja’d it otherwise. Wait, that wasn’t nice. How about the guy who let Moogle have the Sinister Squashling because she really wanted one? No, that wasn’t for me. At first I couldn’t think of what to write for this topic. However, I quickly realized it was because there was no one single action that was the nicest. 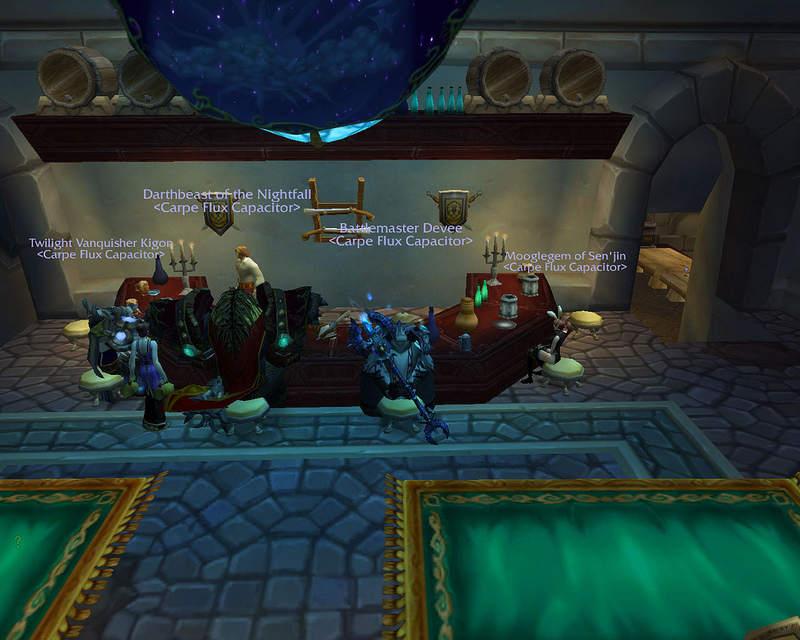 My guild’s acceptance, friendship, and teamwork as a whole is probably the nicest thing. It’s people constantly passing on gear, insisting that someone else take it. 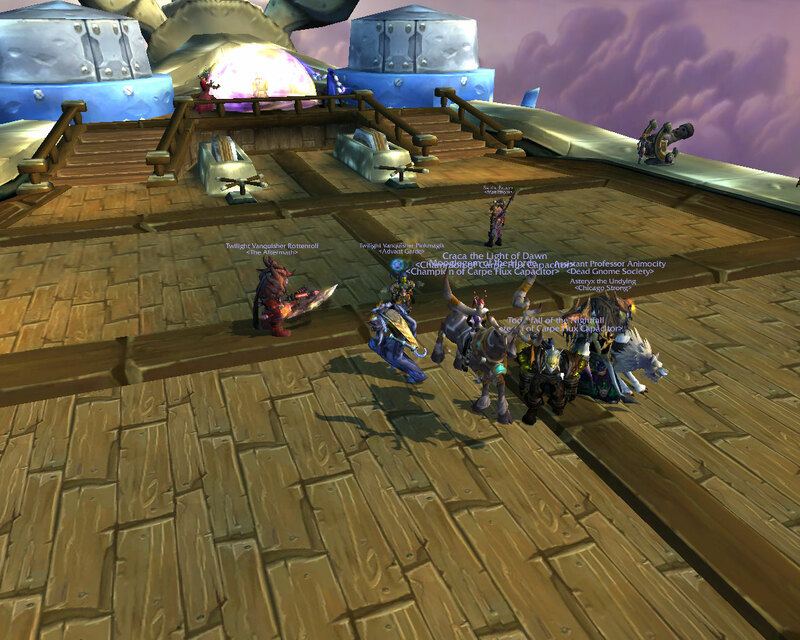 It’s the planning and worrying the our guild leader and raid leaders have to do. I couldn’t count the number of ways that I’m reassured that my feelings matter. I guess you could say I like my guild. I know this is sort of stretch to fit the topic, but it’s how I feel. Last week’s topic was also proposed by frinka. My favorite response was by Mia of Chronicles of Mia. She suggests a number of names, including Warcraft: Evolution or “possibly change Warcraft to Azeroth.” Azeroth: Evolution and Warcraft: Evolution both seem like cool names to me!